Nonetheless, it is still pretty exciting to see a strong possibility of Nendoroid Ozawa Rina and Nameko releases sometimes in the future! I guess this Nendoroid (pair) from Osawari Tantei Ozawa Rina a.k.a Touch Detective will be pretty popular if they get released. 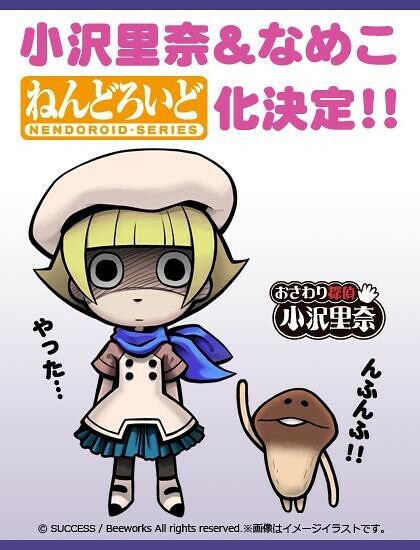 This entry was posted in News and tagged funghi, nameko, nendoroid, ozawa rina, touch detective.